A little keyring with lots of love for Mummy. 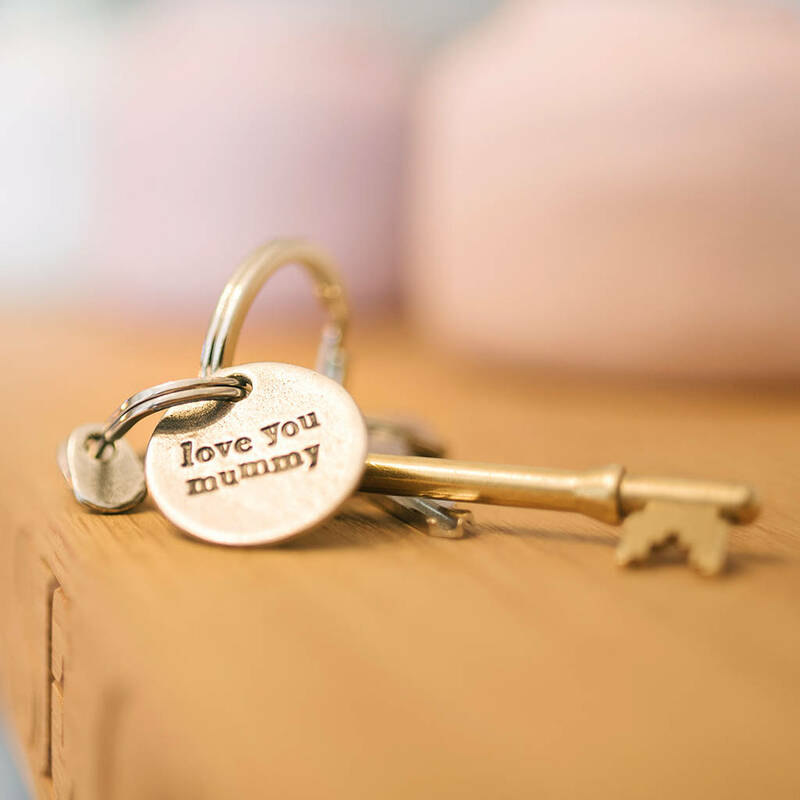 This round token keyring is imprinted with the phrase love you mum, mummy, mam, mama, mom or mommy. 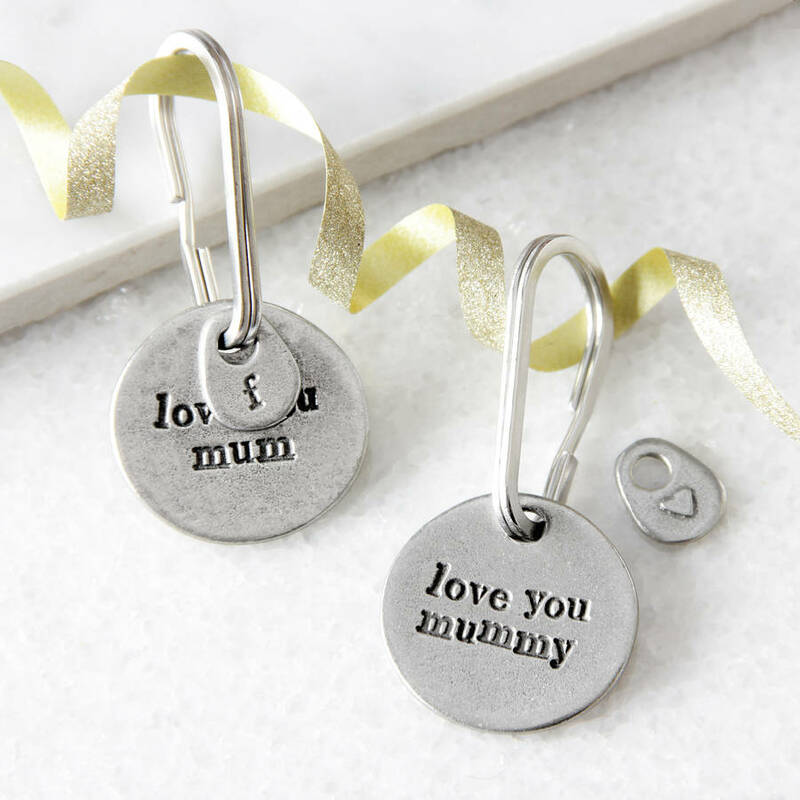 The token hangs from a teardrop shaped split ring and can be personalised by adding children's intials, a heart, flower, star or even paw symbol. 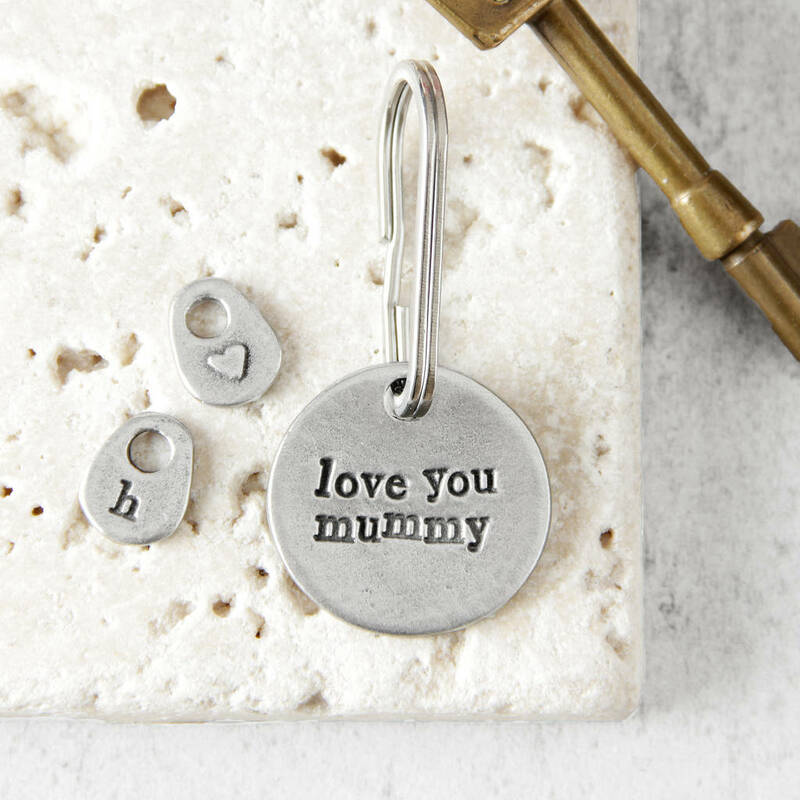 Choose up to four pebbles for your keyring and add extras as the family grows. 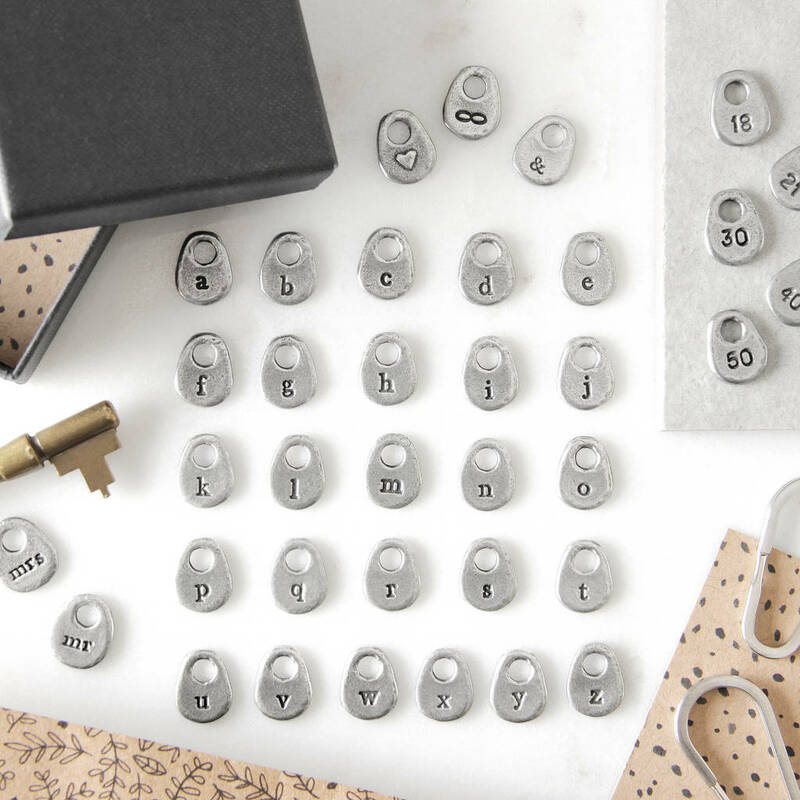 Making the sweetest token gift, the keyring comes complete with a gift box and patterned paper gift pouch so that it is ready to be gifted. A solid pewter token and pebbles with a stainless steel split ring. 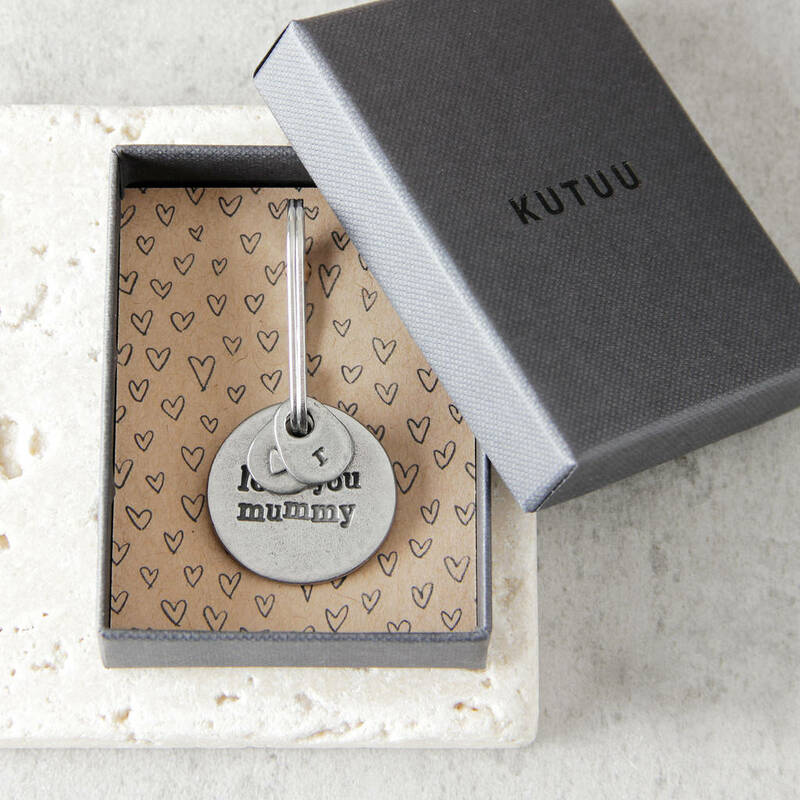 The disc measures 2.8cm in diameter, the split ring measures 3.5cm tall and pebbles measure 1.9x1.1cm.